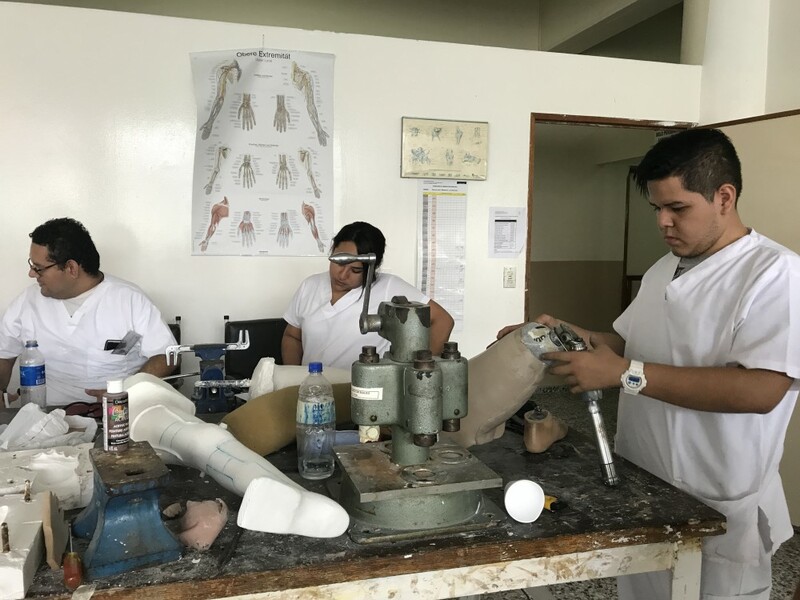 (MissionNewswire) Don Bosco University in San Salvador, El Salvador will empower the next generation of medical rehabilitation practitioners to transform the lives of people with mobile disabilities thanks to a new grant from USAID’s American Schools and Hospitals Abroad (ASHA) program secured by Salesian Missions. The new “Walking Anew!” project will help to expand and upgrade the facilities at Don Bosco University’s School of Rehabilitation Science as well as the equipment used to train medical rehabilitation professionals. The project will also pioneer innovative techniques in the treatment of people with disabilities. Don Bosco University is one of the most prestigious institutions of higher education in the country, particularly in the technical and technological sector. The university has close to 6,000 students at the school, which also maintains a strong link to the local employment sector through research, technology transfer programs, continuing education courses and consultancy services. Degree programs are offered in engineering, social sciences, humanities, economics, technology and aeronautics, among others. The “Walking Anew!” project will launch with the construction of a two-story building that will hold new and expanded laboratories, practice centers and classrooms on the first floor, and the new Applied Research Center for collaboration with the U.S. on the second floor. The new building will implement photovoltaic electricity to promote conscientious energy use and reduce carbon emissions at the global level. The building will be constructed under LEED parameters of the U.S. Green Building Council. Next, the project will entail upgrading 50 percent of the current technology and acquiring new and modern equipment for SRS laboratories that teach and apply rehabilitation techniques for people with disabilities. The four laboratories to be updated include the existing mobility laboratory, the existing orthotics and prosthetics laboratory, the new podiatry laboratory and the new specialized practice laboratory. The “Walking Anew!” project will also establish an Applied Research Center for innovation within the parameters of educational and medical practice. The Applied Research Center will stimulate and enable the exchange of knowledge and experience with scholarly and medical centers in the U.S. The Applied Research Center will include an information center dedicated to researching health issues specifically related to the rehabilitation of people with disabilities, orthotics and prosthetics, material science, physical medicine, and medical innovations across Central and South America. Subscriptions to databases and digital libraries related to rehabilitation will be available for the use of professors, students, researchers and health personnel. Center users will also have access to medical magazines edited in the U.S. Finally, with the goal of broadening the reach of the technological and educational advancements for the treatment of people with disabilities generated at Don Bosco University, the “Walking Anew!” project will acquire new technology to offer online graduate and specialized program educational services across the broader region of Latin America and worldwide. El Salvador is one of the most violent countries in Central America along with Honduras and Guatemala. The murder rate in El Salvador rose more than 44 percent in the beginning months of 2014 when compared to the same time in 2013. Gang violence is a leading cause of violence in the country and it’s estimated that some 60,000 young people have gang affiliation. Gang involvement often offers a sense of belonging and family that counters the lack of education and employment opportunities offered in the country. Close to 35 percent of El Salvador’s population lives in poverty, according to the World Bank. Youth in the country are confronted not only with poverty but with instability, high levels of violence and inadequate access to educational opportunities. Despite ranking high for economic indicators, the need for practical education is more important than ever with 12 percent of youth ages 15-24 unemployed and 41 percent underemployed.